Home is a concept, the word can be different things to different people. Most times when someone says home they are referring to where they grew up. Sometimes it is a person that means home to them. Their mom, dad, siblings, significant other, kids … home may be just a memory or a very real place to go. The word invokes feelings of warmth and love, acceptance, laughter peace. For me at least, and I think that is pretty common. well .. duh. I mean you guys already figured that out, I am sure, since I am talking about home, and it IS the Holiday Mental Moment. Not just any old Mental Moment. It is decked out with ..boughs of holly, cards, a tree, browned butter, music, all that stuff you know? It has bells on it too. If you are very quiet you may hear them. Home may be something different all together in the middle of summer than the during the holidays, but during the holidays, it seems there is an overwhelming need to go or be home. If we grew up surrounded by family in a happy home with love and warmth and food and laughter, then we equate home with those things and as adults try to emulate them in the place we casually call home. But still if you ask where home is, it may be a different answer than where we live. With air travel and trains and automobiles these days, we are a mobile society, free to move anywhere, and still be able to travel easily during the holidays but it wasn’t always like that. I say travel easily loosely as compared to say, the middle of Febraury, it is a nightmare. But I am more referring to you can live on one side of the country and be on the other in a matter of hours. The pioneers that crossed the great plains probably never saw the place they grew up in or their extended families that stayed behind once they left. Soldiers of the Great Wars, had probably never been more than a few hours from home, and never away during the holidays. Our soldiers stationed overseas and unable to come home are a main focus during the holidays, and we should remember there are soldiers all over serving our country, even here in the states, who can not be home for the holidays. Just saying. One of the most poignant Christmas songs is about being home for the holidays and was written by a soldier in WWI who, clearly could not be home. I may have a word or three wrong, that is just my best guess. My apologies. I was 21 the first Christmas I was not only not physically home but nowhere near any family. I was stationed in Panama and had actually been home the first week of December but did not have enough leave to stay for Christmas. I didn’t think I would make it and that song would just rip me up. It all worked out ok though. I wasn’t the only one and with friends and good eggnog, It was actually kind of fun, but not really like Christmas at all. I often wonder why we are drawn to home more during the holidays than any other time of the year. 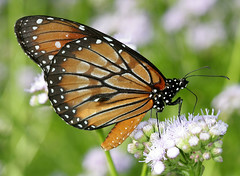 I wonder if we are programmed to migrate like the birds and the butterflies? What? It could happen. May we be blessed with plenty of love, like being home for the holidays, if only in our dreams. Home is truly where you heart is. For me, that’s NOT with my blood relatives of childhood, but rather the family of my own making of my adulthood. I don’t even know where my relatives live at this point and am the better for it. You honor me, sweetheart. All my love! I loved this, Lizzie. It was warm and cozy. In my family, my house is the nest. But I still miss people when they leave. thanks – I am attached to the places but if the people aren;t there it is different – I grew up in Colorado – lived in the same house from the time I was little until I left home – went back there once or twice to stay too – home to me is Colorado but it is also my family and I have found over the years that a person can be home – no matter where you are if you are with that one person – that is home – this one was hard to put into words..
My brother lives in Colorado, in Aurora. And you’re right. The holidays are the most thought-provoking time of year for those who are unable to gather with family at home. But the servicemen and women usually have each other as a surrogate family who share with each other the spirit that is the season. God Bless them all. Where would we be without them? ummmm well that’s a toss up 🙂 and you are right they do form their own family – but if home is where you have always been then nothing can substitute for that.. I wasn’t suggesting a replacement for home, but rather the strength and capability that they have to adapt to the circumstance that they find themselves in, and making the best of the situation. Merry Christmas. I almost forgot….. MERRY CHRISTMAS Lizzie. And Happy New Year to you and your family. From your lips to God’s ears.. I will be home, but it is just a house. In my dreams, I will be home. It is a place I have yet to build, but soon. Home is a place I am going, although I have been there many times. I will spend time in my virtual home, as it is where my friends are, which for me makes it one of the coziest places to be. yes, I haven;t truly been home in years… I will someday be again though.. i have to keep believing it. Love to you as well and Merry Christmas. I got my christmas miracle, a miracle in itself for a little Jewish girl, my capt. came home unexpectedly, so I won’t be sad, and i won’t even get too mad when he spends the entire morning surfing! Happy holidays to you, you’ve brought much joy my way! Bless you. I am so. Happy for you! Happy Holidays..
My home is wherever my girl is. If you can be home no matter where as long as you are with the one you love – then you got something special. Have you ever traveled during the holidays and notice that the sense of urgency is maybe not quite as intense as with other travelers because it doesn’t really matter what happens you are together?